The award-winning Celluma is the choice of skin care professionals globally! These scientifically proven, 3-in-1 devices have more FDA clearances and Medical CE Certifications than any other single LED device on the market. 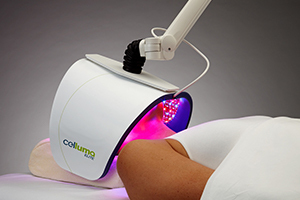 Celluma has also been awarded CE Medical Certification as a Dermal Wound Healing Device in the European Union. 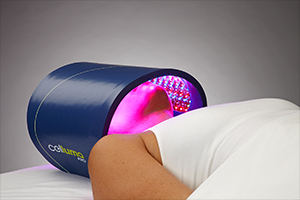 Further distinguishing itself from other LED devices, Celluma features an innovative flexible design permitting closer positioning to treatment areas. This patented feature allows compromised cells to absorb light energy more readily for unparalleled results and optimizes treatment of the face, neck and décolleté. 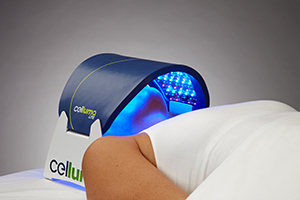 Relaxing and rejuvenating, the Celluma can be used as a stand-alone modality, following surgery or paired with facials, LASER, microneedling, peels, injections, massage, waxing and much more. Those with sensitive, reactive or acne-prone skin will enjoy Celluma’s powerful age-defying and acne-fighting results. Ideal for use following surgery and more ablative procedures, the Celluma ELITE is stand-mounted on a sturdy rolling base for mobility and offers the same features as the original Celluma PRO, including most of the flexibility aspects. An articulated and rotating arm provides a wide range of placement options for patients. Celluma ELITE is also ideal for use in a “self-service” type of environment. 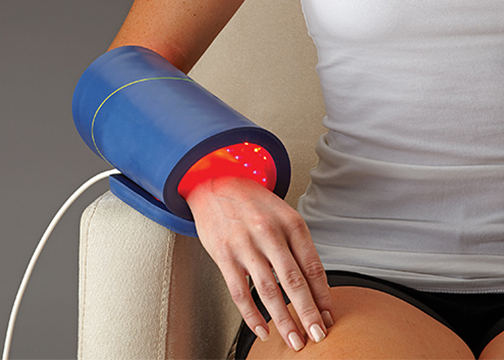 Brighter, clear skin is in the palm of your hand with the brand-new Celluma POD! Boasting the same efficacy and 3-in-1 versatility of Celluma’s larger panels, the POD is the only handheld LED therapy on the market FDA-cleared to treat acne, pain and aging in a single handheld device. With this cost-effective and professional-grade device, the Celluma POD is the only handheld you will ever need.